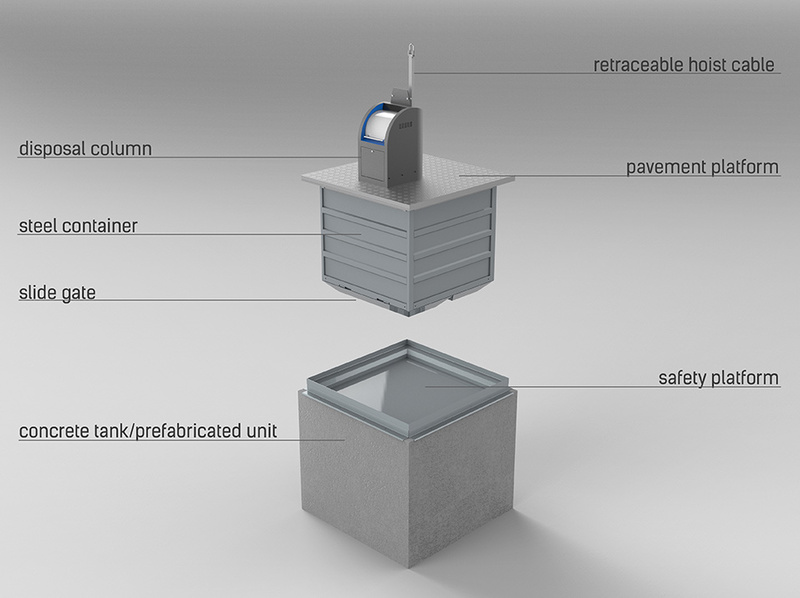 PPBin, Polish company designing and manufacturing underground and semi-underground smart municipal waste containers, will be using Globema GeoTraxx application. Smart bins automatically inform about their filling level. The information is then sent to GeoTraxx which will be used to handle waste transport. Containers manufactured by PPBin are equipped with SIM cards to enable filled bins to send a text message about their status. Then, the message is processed by a SMS gateway which generates a task of emptying the bin in a given timeframe, defined by the SLA. The message is then passed to GeoTraxx application. In the end, a dispatcher makes the most effective waste transport plan, using GeoTraxx algorithms. Why GeoTraxx? PPBin decided to use our solution because of app’s open Application Programming Interface (API) and ability to include SLA targets while planning routes. PPbin specializes in designing, manufacturing and installing modern underground and semi-underground municipal waste containers as well as underground containers with a hydraulic platform. The company installs and maintains underground smart bins with an electronic access control system in the largest cities in Poland. WASTING TIME ON ROUTE OPTIMIZATION AND TRANSPORT SCHEDULING? WHAT SUPER POWERS DO YOU USE TO ANALYZE LOADS OF GEOSPATIAL DATA?